Search Engine Optimization (SEO) is an important aspect of marketing for today’s businesses. As mobile device usage increases and technology gets smaller and smaller, more consumers are shopping and getting referrals online today than ever before. Investing in SEO packages to optimize your presence online elevates your brand on major search engines and makes it easier for people to find you and the services you offer, taking keyword terms and leveraging content to put your brand before all others online. Design & Promote’s SEO packages utilize a team of online marketing experts who will work to identify important keyword phrases for your business, and then write savvy content to build your brand’s presence and authority on the internet. Methods are always changing to get ranked higher and higher, and our team stays on top of the latest tactics to get business ranking well. Speak to an expert today by calling us at 630-995-7109 or complete the form on this page for more information. 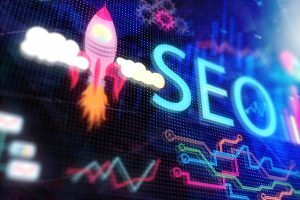 Our SEO packages mean you receive regular reports and updates about keyword rankings, your Google Analytics, your competitors, and we devise strategy to keep your rankings up or trending up. We will work to learn about your audience and your business, making sure we understand the nuances of your industry. This understanding is what fuels our efforts, making sure your brand is well represented and supported with solid marketing data to find the right keywords and terms for your audience. Design & Promote offers three levels of services, each to meet varying levels of need. We will work with you to determine the level of service you will need, and what suits your business and your budget best. You can receive varying levels of hours of service per month as well as different types of website optimization. Complete the form on this page for more information on our various plans, or give us a call at 630-995-7109 to speak directly with one of our professionals.